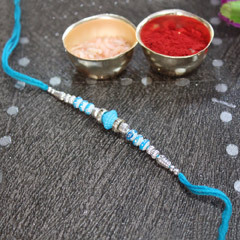 Mauli Rakhi is popular for its distinct look and colors. 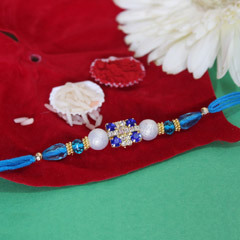 It is a traditional type of rakhi available in elegant designs only on Sendrakhi.com. 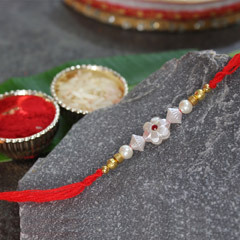 If you are preparing for Raksha Bandhan 2019 and you want to send a rakhi with gifts to your brother in India or abroad, choose Sendrakhi.com for express delivery and assured satisfaction. 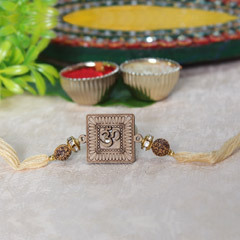 Rakhi is the festival that brings brothers and sisters together no matter how distant they are. Today, every family is distanced because of work. 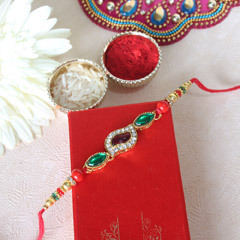 So, the only way to enjoy Raksha Bandhan festival is by sending rakhi online to your brother with gifts and chocolates. 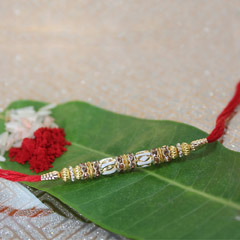 Despite the distance, we ensure that there is no compromise with your happiness. 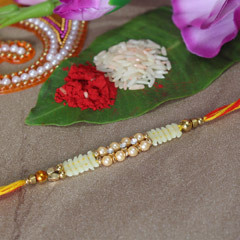 With our wide logistic services in the city and abroad, we assure you 100% successful mauli rakhi delivery on the eve of Raksha Bandhan. 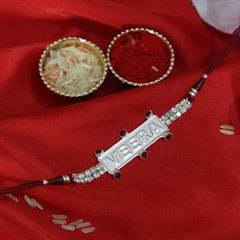 We aspire to satisfy all our customers with unparallel service so that they keep coming back to us. 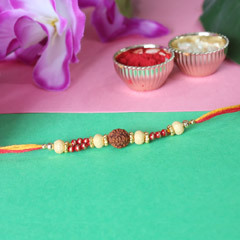 Avail the best range of mauli rakhi with combo gifts like chocolates, Indian sweets (gulab jamun, rasgulla, ladoos, kaju katli, kaju roll etc), chocolates (dairy milk silk, Ferrero Rocher, Bourneville), gourmet foods, cakes, flowers, and varieties of gifts. 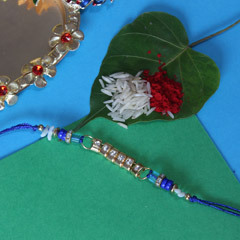 Simply buy any rakhi of your choice and send adorable gifts to your brother.